This was on Kelly Bagnasco in my Facebook. This doesn’t only go for parents. This can also go for brothers, sisters, and aunts and uncles. I can’t help but to wonder why aunts and uncles never get mentioned whenever there is anything to do with children. It’s always the parents and grandparents that are thought about. Aunts and uncles are capable of having and giving love to their nieces and nephews the same as parents are of giving it to their children and grandparents are of giving it to their grandchildren. So why are aunts and uncles always left out. It just hurts. This is especially true if they wanted children really badly but were never able to have them. Watching everybody else having fun with the children just punches it home all the harder. And yes I am one of those people that was never able to have children bur wanted them more than anybody could know. Even though I am 65, it still hurts to this day that I was never able to have children. Just think about that the next time everybody that has children gets together and leaves the childless members of the family out. Just because we don’t have children doesn’t mean that we are not capable of loving children and wanting to be around them. There are also other singers to choose from, as this link is to x Factor. She was there when her Mother took her last breath after fighting ovarian cancer. Rhema was only 4 at the time her Mother was going through all of the cancer treatments. She and her Father stayed right by her Mother’s side through as much of it as what the doctors would let them. Rhema has drawn strength through the experience and is sharing it with others through her singing. She sings at the church where her Mother was a member before her death. Rhema also sings secular songs, and does very well with whatever she sings. I will surely try to listen to her as much as I possibly can. I really do like to hear her sing. When you hear life is short some may say yep it is and go on doing what you do. Today I was at the location of a wreck right after it happened. I saw the truck in the ditch, I saw hero’s from fireman, EMS, police, bystanders try to help get the driver out of the truck only to realize a woman was also in the truck. He (driver)made the choice to drink and drive. She made the choice to get in the truck. The life of everyone is changed forever! His for drinking and driving. Hers because she didn’t survive. Mine because I saw her laying there knowing she was a daughter and maybe a mother or grandmother. And her life was gone in a second! To have your life taken away by a choice.. I hear people talk about all the gun laws what about ALL the driving loop holes allowing people to have multiple DWI or driving with out a license , texting or SPEEDING!! Passing with double yellow lines!! How many lives have been killed from stupid car wrecks and choice people make driving??? Shame we all can’t make citizens arrests.. drive safe my friends and watch out for the crazy drivers!! Why is it that our laws are so lenient to drunk drivers? Sometimes I think that it’s because the ones that pass the laws are drinkers too. If they make the laws too stringent, then they wouldn’t be able to drink. I guess for some people being able to take that drink or those multiple drinks is more important than life itself. I’m pretty sure that drinkers would think twice if it was a law that whenever you go to a bar or a party and drink, you have to surrender your keys upon entering the establishment, or if you are at a friend’s house, you be set to spend the night if you get drunk. I can’t imagine any friend not wanting to let their friend stay the night. They would rather have you sleep on their floor that to drive home and possibly have a wreck and kill someone. I know I sure would. Next time before you take that drink, or let a friend take a drink, make sure someone other that the drinker will be driving, or that they can stay at whatever place where they are when they take that drink. A little bit of precaution is worth a whole lot of peace of mind that nobody is going to get hurt or even killed because someone you know had too much to drink. In this post I am going to write some verses and different things that I have heard, through the years, that really made me stop and think. When different things happen to me or to my friends, some of these verses come back to me and that in turn makes others, that may not be related to the original situation, come back as well. Below you will find the ones that have been running through my head lately. Maybe they will make you stop and think too. We first endure, and then embrace. Now, I’m going to talk about regrets. We all have had them, and for as long as we live, from time to time, we will continue to have them. They are inevitable. We cannot avoid them. None of us is perfect. We are going to say something that we shouldn’t say, do something we shouldn’t do, go somewhere we shouldn’t go, or just the opposite we won’t speak up when we should, we won’t do something that we need to do when it needs to be done, or we won’t go someplace where we should go. And when it is all said and done, we regret whichever of those things above that we are guilty of. Most of the time, we can make amends for whichever one we are guilty. We can apologize for saying something wrong or doing something wrong, or just the opposite., we can apologize for not doing or saying whatever it is that we were supposed to do or say. I say most of the time, because you cannot make amends whenever the other person has passed away. It never fails, whenever we are upset with someone else, or just don’t like them for whatever reason, and we stay away from them, avoiding them like the plague so to speak, that when they pass away, we experience that pang of guilt. That pang of guilt I talk about could very easily have happened to me. When I was growing up, I had two step-fathers. My real Father had left when my Mother was expecting her fourth child. She married my first step-father when I was 9 years old. He drank quite a bit, but never would admit that he was an alcoholic. I didn’t like to eat many things, and would get a beating when we were eating, if it was something that I didn’t like. He would also beat me whenever he got drunk. As a result, I stayed angry at my Mother for not protecting me from him. I even went so far as to say that I wouldn’t even be very upset if my Mother was to die. Well, she was diagnosed with breast cancer in January of 2000 or 2001, I can’t remember which. They did surgery and removed the cancerous lump, and apparently they got it all, because she hasn’t had any problems since then. It was at that moment when I realized that I would indeed be upset if my Mother passed away. Since then, my Mother and I have had a good relationship. Every year I went to see her and my second step-father (“Pop”), until I no longer had a car. Every time I had surgery, my Mom and “Pop” came to stay with me and help me until I was back up on my feet. I no longer have a car, and Pop passed away in 2011, but I still keep in touch with my Mom. She lives with my sister, and I call to talk to her. I got to spend two weeks with her last year when my sister and brother-in-law went on a trip, and I took care of my Mom while they were gone. I got to see the rest of the family that lives around the area too. It was a really nice trip. Now I no longer have any regrets like I would have had had I not resolved things about my Mom. This goes to show that even very important people can have regrets. But as he says he saw them through. What I am trying to say or ask is, is there anybody that you are upset or angry with to the point that you won’t talk to them or go to see them? And if so is it worth it to the point that you would feel badly if they were to pass away? If you would feel badly if they were to pass away, then you need to do something about resolving whatever it is that has you so upset with them. Life is too short to spend it being upset with any family member or friend that has said or done something to upset you. Try to get back on good terms with them. If the person has medical issues where they don’t know who you are, don’t stay away for that reason, go to see them anyway. You know them and that is all that counts. You may end up visiting on a day when they do recognize you. Once they have passed away, it’s too late then to make amends. All you will have is regrets, remorse, and guilt about not going to see them or at least trying to talk to them. It may haunt you for the rest of your life. Then you will have the “If only I would have gone to see (fill in the blank)“, thoughts. I know people who this has happened to. They don’t like a grandmother or grandfather, or great aunt or great uncle, or whoever it may be, so they won’t go see them or talk to them. Next thing you know, the person is at death’s door with only a few hours to live and they don’t know anybody, then they pass away and you didn’t even see them for that one last time. Your heart hurts, you are full of sadness, and your eyes swell up with tears. You are having regrets for not going to see them, but it is too late. Don’t let this happen to you. Just seriously think about it. Is worth it to regret it for the rest of your life, that you and whoever did not reconcile your differences? I don’t know about you, but it’s not worth it to me. I am so glad that I had some good years with my Mom before my Pop passed away and she withdrew into herself. When she woke up and found him next to her, cold as ice and stiff as a board, she just withdrew. All she would say is “I don’t know what I’m going to do, I don’t know what I’m going to do.” Pop died in his sleep from a diabetic coma. My Mom called 911, hoping that he could be revived, but that wasn’t to be. The rescue squad said he had passed early in the night, for the amount of stiffness that he had. My Mom has stayed with my older brother, and then my sister, back and forth, since Pop passed away. If Pop had have been my real Father, I never would have had a step-father to begin with. I loved him so much, and will miss him until the day I myself die. Saw this little poster on Facebook and thought I would expound on it some. Hope you give it some thought too. 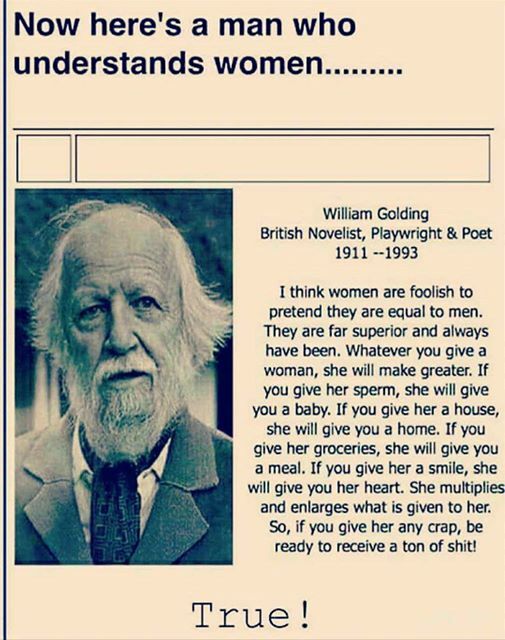 I will have to type out what the poster said because it gives me an error when I try to open it in this post.I copied it and pasted it here, but I don’t know how long it will continue to show up, that is why I am also typing it here. It makes a whole lot os sense when you really stop and think about it. It also says to type yes if you agree, but that is only effective if you are doing it in Facebook. It won’t work here, unfortunately. When you think about it this way, it doesn’t make sense for us to let what another person says or does ruin our day. Of course that isn’t the case if the other person physically hurts you, it’s only talking about their negative actions. It’s like the little saying that most parents teach their kids growing up, “Sticks and stones may break my bones, but words may never harm me.” The words may make us feel bad, but it is only because we let them. If we just turn and walk away while shrugging the words away, then they won’t upset us. Hope you have or have had a great day today. I’m going to try to remember this analogy of the seconds in everybody’s day and not let others negativity upset me. I know I won’t always succeed, but at least I will be better off for trying. Why don’t you try it too? There are many types of Moms or Mothers. The first type is the biological Mother that actually gives birth to the child. This can be a natural parent or a surrogate Mother. There are Foster Moms and Adopted Mothers. Are then there are Grandmothers and Godmothers. Bet you never really stopped to think about just how many types of Mothers there are. But the fact is that whatever person is in charge of you when you are a minor is the same as a mother figure to you. This does not matter how bad or how good they are, they are still your mother figure. Even if you are currently, or you were in an orphanage, the leader there is your Mother (or Father) figure as the case may be. Even children that are raised with their natural parents could have good or bad parents. What I am talking about in this post is the types of mothers that I grew up around, meaning my own Mother and my friends Mothers, so just keep that in mind when you read this. Mothers do whatever is necessary to raise their child or children as best as they can in good or bad circumstances. My real Father left when I was an infant, so my Mother had to raise four babies on her own until we went to live with my Grandmother (my Nanny). We couldn’t say Grandmother correctly, and Nanny was all that we could say, so our Grandmother, our Mother’s Mother was Nanny. When a Mother raises her children on her own, she makes many sacrifices for them. I know that my mother used to count the pieces of lunch meat and sliced cheese before she would make a sandwich for herself. If there was only enough for us four children, then my Mother went without having a sandwich and made sure that we had a sandwich for our lunch. The same was true of any food that we had. My Mother always made sure that us four children ate even if it meant that she didn’t eat. Why? you may ask. It’s just because, “That’s Just What Moms Do”. A Mother will go without sleep if her child, or children are sick. Why?, “That’s Just What Moms Do”. They may be sick with a headache or a cold, but they will still clean up after their children in their children threw up or had diarrhea all over them self. Why?, “That’s Just What Moms Do”. A Mother will make sure that her children have clean clothes. Why?, “That’s Just What Moms Do”. A Mother will make sure that her children have shoes and socks, if at all possible and money allows, even if she has to use shoes that are torn or worn. Why?, “That’s Just What Moms Do”. A Mother will go without sleep if her child is having a bad dream and needs her to help calm them down. Why?, “That’s Just What Moms Do”. A Mother will look under the bed and check the closet, or wherever the child thinks a monster or boggy man may be. Why?, “That’s Just What Moms Do”. Even if a Mother had a bad night herself, but her child has a program at school the next day, she will go [if she can get off of work(if she works)]. Why?, “That’s Just What Moms Do”. If the child is in danger, a Mother will step in front of the child to keep them from harm. Why?, “That’s Just What Moms Do”. I am sure that you have all heard stories about parents showing examples of unheard of strength to remove a heavy object from off of the child to get the child to safety if they are under the object in any way. Classic example, a heavy bookcase falls on the child when he/she was climbing up on it to get an object they wanted and the Mother gets unheard of strength to be able to remove the bookcase from on top of the child and get the child to safety of to medical health, whichever the case may be. Why?, “That’s Just What Moms Do”. What I am trying to point out is that a Mother will do anything necessary for her child or children to keep them safe, fed, clean, and healthy. Why?, “That’s Just What Moms Do”. Try to remember that not all Mothers possess the ability to be able to do all of these things all the time, or maybe not any of the time. But, most Mothers do the best that they can at any given time for their children. I will give a personal example. Before my Mother and us four children went to live with my Nanny, my Mother always put us children first when it came to eating, doing our laundry, staying up with us when we were sick, even if she didn’t get any sleep herself, and things like that. Then we went to live with my Nanny. We lived with my Nanny until I was 8 years old. That was when my Mother married my first step-father. After my Mother married my first step-father, almost everything changed. Yes, my Mother still did the things about food, laundry, and whenever we were sick, but she was helpless to keep me safe whenever my step-father got drunk and started abusing me. I always thought that it was because she didn’t love me anymore since she married my step-father. He beat me every time he got drunk. But what I didn’t know, until after I was taken away from the family, was that she was being beaten too. She never let on to us children that she was being hurt too. For whatever the reason, I was the one of us children that he beat every time he got drunk. It wasn’t until he beat me so bad that he almost killed me, and I was taken away from the family, that I stopped being beat by him when he got drunk. I went to live with a friend as a live-in babysitter, never to return to my family again. It was years later that it came out that my Mother was also being beat up. When my step-father pulled a gun on her and threatened to kill her, she finally left him one day when he was at work. I had gone to visit my Nanny, and my Mother was moving into an apartment close to where my Nanny lived. It was then that I found out that she had been beat also. After being taken away from the family, I blamed my Mother for not protecting me. It was only after being in therapy for many, many years that I realized that my Mother had done the best that she could when I was growing up. It had to be so so hard for her to keep it a secret for all those many years. Why did she keep it a secret all those years? “That’s Just What Moms Do”. I have since reconciled with my Mother about those bad years growing up. She divorced my first step-father, and a few years later married a wonderful man. I know that the 31 years that she spent with my second step-father were the best years of her life. I dearly loved him, up until the day he died, in his sleep, in a diabetic coma. My Mother has lived with my sister ever since then, and has spent a month or two with one of my brothers, here and there, ever since then. I miss him so much. I did get to spend time with my Mother last year, while my sister and he husband were on a trip. With all of my medical issues, I hadn’t gotten to see my Mother in a little over 11 years. The point of this post is that if things have happened in your life that you are blaming on your Mother, please try to forgive her. Everything that happened wrong may not have been totally her fault. Try to get the whole story before you take a chance on carrying your anger, resentment, and hurt for any longer than what you have to. It would literally be a crying shame for your Mother to die and you and her to never have reconciled any differences you two may have. You don’t want to be on your death bed and realize that the two of you never got it straightened out and started talking to each other on a good basis. I know that I sure am glad that I forgave my Mother and we got everything straightened out and now we have a good relationship. This goes for any relationship that you have that is strained. Think about it. Life is too short to carry on hardships in relationships for years on end. I came across this on my Facebook when I was reading a post by Kelly Bagnasco. When you stop and think about it, it is so true. 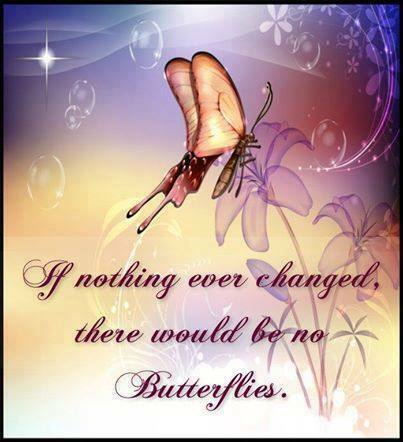 If nothing ever changed, there would be no butterflies. Are you treating the outside but missing the root cause, a negative mind-set toward yourself? Your thinking in some area may be infected. Continuously have positive thoughts playing in your mind. When you play thoughts like that, the toxins can’t stay. Your mind is being renewed. Our attitude that we start the day out with determines how we feel during the day, as well as how we affect others and rub off on them. That little saying “Brighten the corner where you are.” is so true. Just a little light can brighten a dark room. If you don’t believe it, just try plugging in a little night light. Granted the light isn’t light enough to read by, or do anything delicate by, but it does allow you to see what is in the room. When you are thinking happy and upbeat thoughts, it’s impossible to not feel good about yourself and the day, The same goes for when you are helping others. When you are helping others in need, no matter how big or how small the need, it’s not possible to feel bad when you see the look of happiness on the person’s face. When they thank you and possibly hug you, you have to feel a certain amount of satisfaction about what you did. For example: Last year, around October, I came up with the idea to crochet scarves for homeless people. I hadn’t crocheted in a long time, and couldn’t even remember how to cast on the yarn to start the first scarf. with starting so late, I was only able to crochet 7 scarves by December. My friend and I went downtown one evening to hand out the 7 scarves that I had finished. I figured that handing out the 7 was better than not handing out any. I couldn’t actually go to the area where the homeless people were gathered because some of them were smoking. I am asthmatic, and the cigarette smoke would make me have an asthma attack and have to be rushed to the hospital. Needless to say, I stayed a safe distance away from them. After my friend had handed out all 7 of the scarves, he came back and told me that the few people that had received the scarves cried when they got them. He also told me that we should crochet more scarves for this next year. I agreed. So I started out the new year trying to cut my time down from around 10 days to do a scarf, to 5 days, if at all possible. I didn’t have very much luck, and in March I also started having a lot of medical issues. I was being rushed to the ER every month. I didn’t get back on my feet so to speak until some time in June. In June, I also had to go to my storage unit to get my big suitcases out, as I was leaving the 5th of July to go help my sister, by taking care of my Mom while she and her husband went on a trip. While I was at the storage unit, I decided to bring home a small table, on rollers, that I had made while I was in college. At first, I just used it for miscellaneous things. One night when I was using it, I also used it while crocheting a scarf. I found that it made the whole process go quite a bit smoother than what it had been being done. Long story short, I have got the process down to where I can complete a scarf in 3 days now. I am glad to report that I have 19 scarves crocheted at the current time, and am working on the 20th one. I look forward to working on the scarves everyday. It is not possible to tell you how good I feel doing this project. I am so committed to this that I have made a website just to report about the crocheted scarves for the homeless. The website is mammahen.org. You are welcome to visit the site anytime you want. I am trying to recruit other people to help with crocheting the scarves, and have even asked that anybody that knows how to crochet hats will also volunteer to crochet some for the project. There is a contact page on the website where you may find out any and all the information necessary to help with the project. I make pictures of each scarf as I complete them and post them on the website. As soon as I can save up the money, I plan on making the website a Not For Profit website. There will be a donation button on the website for anybody that wishes to donate to the project. I just hope that if anybody wants to help raise the money towards the Not For Profit certificate, they will mark it on the donation. If there is no marking on a donation, then the donation will be used for yarn to crochet more scarves. Even though I have numerous medical problems, my doing this project makes me happy everyday. I actually look forward to the time I spend on my crocheting the scarves. The main point that I wanted to make is, like I said earlier in the post, it is not possible to feel bad when you are doing something to help someone else. Recently, I have been thinking a lot about the advances in technology, that I am aware of, in my lifetime, and how they have helped me. Having been born in the early 1950s, I have experienced many of the changes first hand. I will obtain as many pictures as possible from Google on the internet to show the items that I am talking about. In the 1950s there was no such thing as “color TV” and there were only 3 channels in addition to PBS. 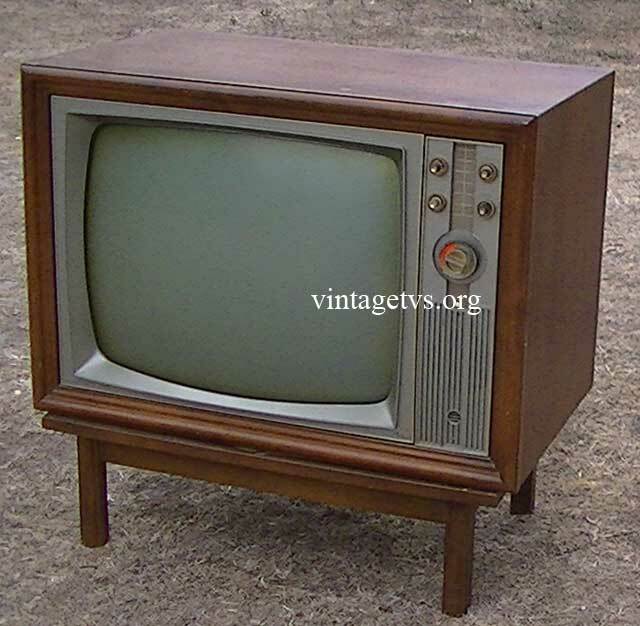 The televisions were console models and had tubes in them that would burn out and have to be replaced. 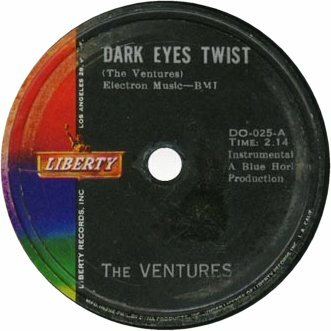 Music was recorded on vinyl discs and played on phonographs. 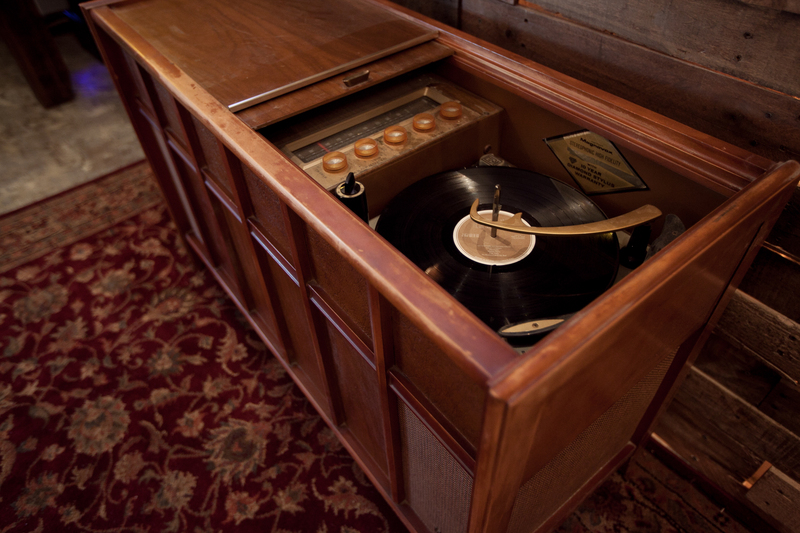 Many times the phonographs were also in a cabinet that resembled a low table and it also had a radio in it. 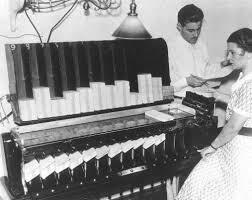 There are some sample pictures below of both the records and the cabinets they phonographs were in. 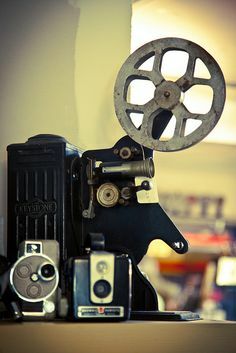 Home movies were on reels and had to be shown on machines that had attachments for the reels. It was also necessary to use a big screen to show them on. Regular pictures were taken on cameras that needed flash bulbs to get good pictures, and the film came in rolls that had to be threaded into the camera. The camera had to be wound after each picture. They used flash bulbs that had to be thrown away after just one use. Then came cameras that used film cartridges that did not have to be wound up after each picture and flash cubes that could be used to take four pictures before the cube had to be thrown away. 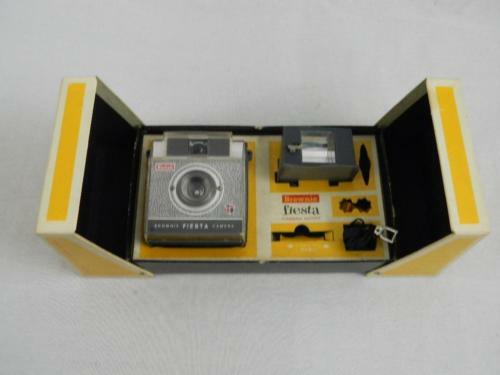 After that came cameras that were automatic wind and flash, but you still had to use film cartridges. Finally came digital cameras with built in light sensors and cell phones that could also take and store pictures. 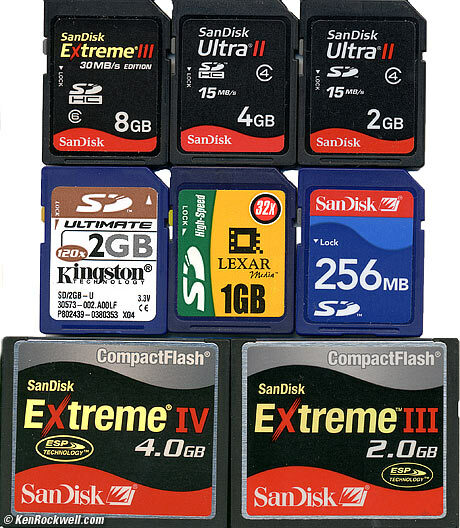 The digital cameras and cell phones use SD cards for storage of the pictures. 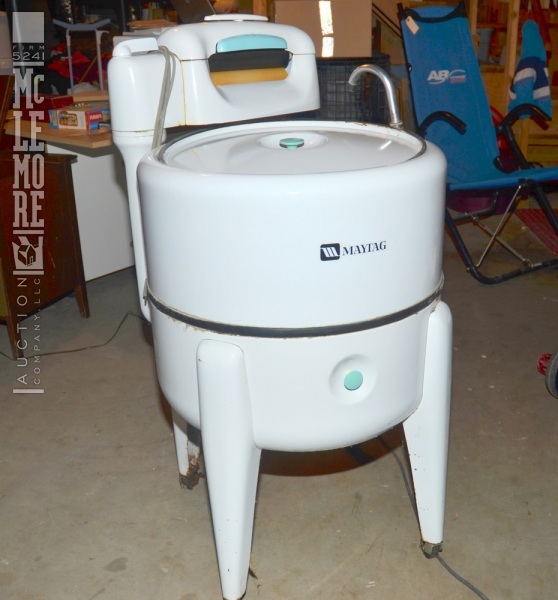 When I was growing up, we had a wringer washer to wash our clothes. 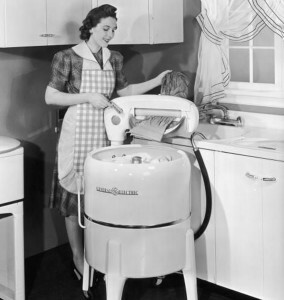 It did not automatically cycle through a rinse cycle and then spin the clothes so they could be put in a dryer. The machine had to be emptied each time a different cycle was necessary, and that meant that all of the clothes had to be put through the wringer, one by one, to get the excess water out of them. 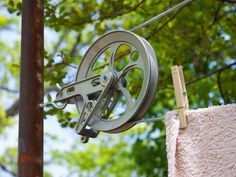 We didn’t have automatic dryers, and the apartment that we lived in had pulley clothes lines, to hang the clothes on to dry outside. I found some internet pictures that are shown below. There was no such thing as a cell phone when I was growing up. 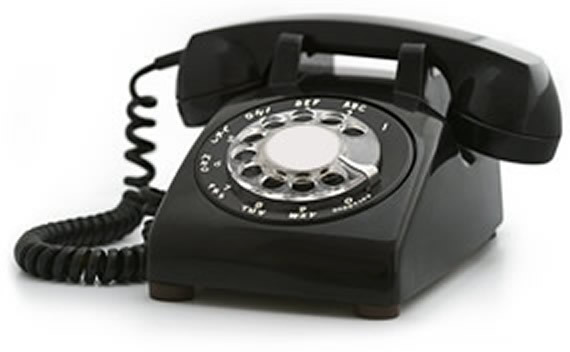 All phones were wired into the wall, and most people even had what was called a “Party Line”, which meant anywhere from three to five different households had the same phone number. If there was someone else on the line and you needed to make an important call, you had to break in on the conversation and ask if they would mind hanging up the phone so that you could make the phone call. You were at the other person’s mercy as to whether or not they would end their call and let you use the phone. It was possible to have a private line, but they cost extra. 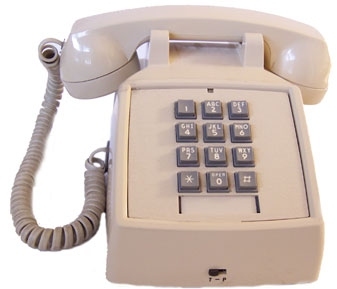 You had to dial the number using a round dial with holes in it and the numbers were on the solid base of the phone. You would put your finger into whichever hole had the number you needed under it and then turn the dial clockwise until you hit the little stop piece. 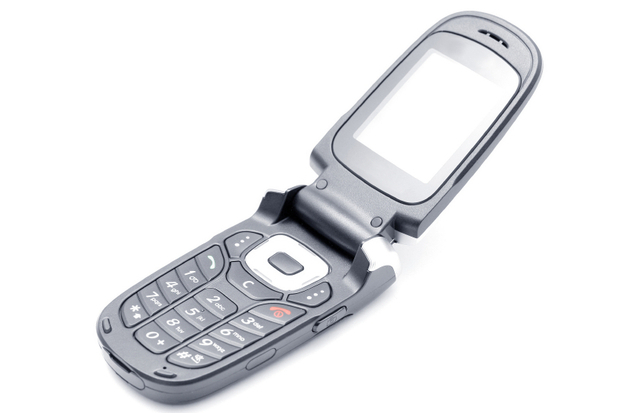 Touch tone phones did not come until after I was a teenager. Cell phones didn’t come until after I was an adult. There are flip phones too. 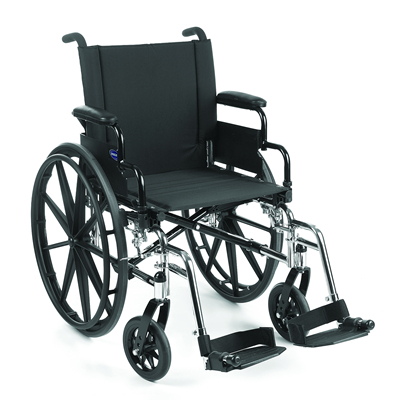 For people in manual wheel chairs, the invention of power wheel chairs was about the best invention in their lives. 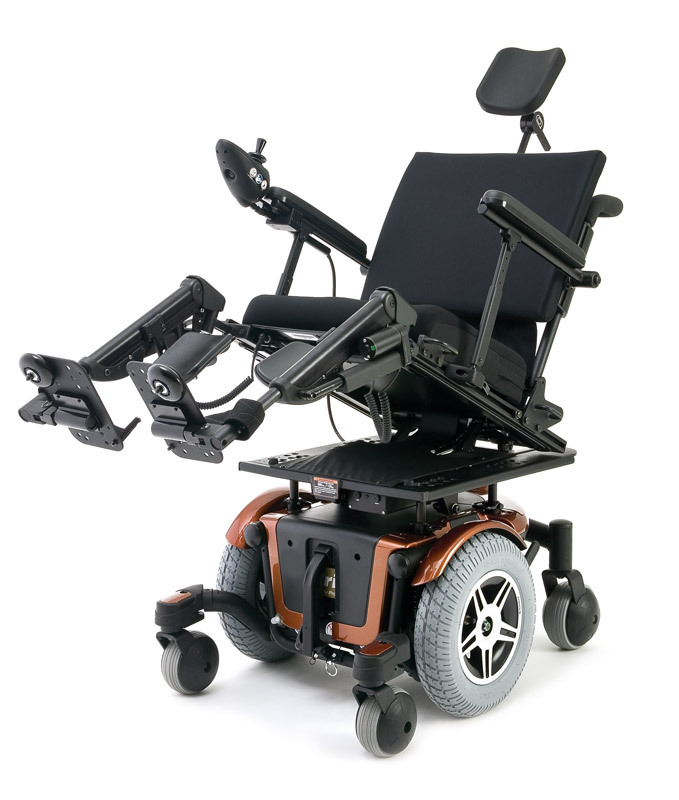 The accessibility, to most people with insurance, made it possible for people that could not afford them on their own to be able to own a power chair. It was almost unbelievable to people with any type of paralysis. They were able to get around with a power chair, when they could not do so with a manual chair, unless someone was willing to push them. Even quadriplegics were able to get around, with the aid of a blow tube to control the chair. These are all really great inventions, but computers have to be the biggest change in all of the wonderful changes that I have seen and had a chance to use and own. 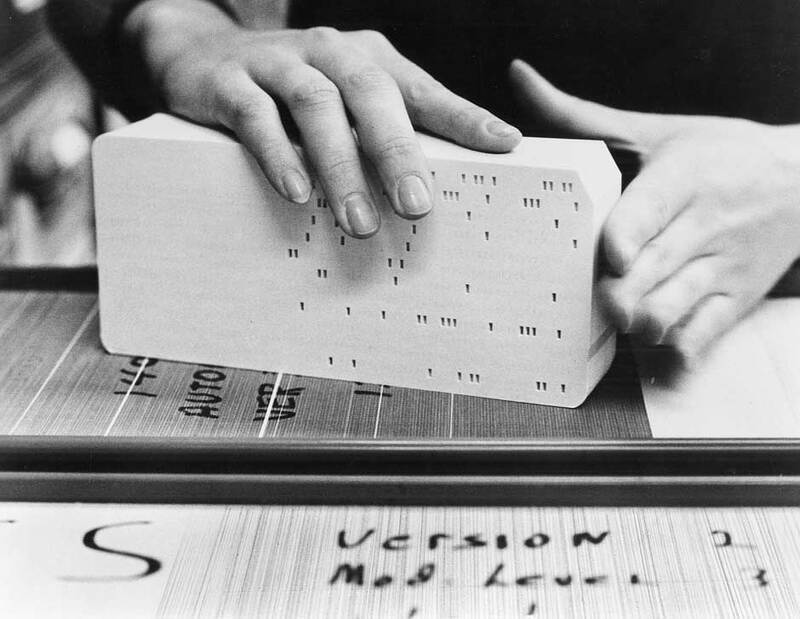 To think that back in 1970, when I was in college for computer programming, I had to actually punch cards, stack them, and then verify them before I could run them to see if my program would work. First picture is of a man punching the cards. 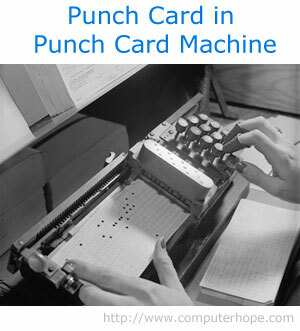 Second picture shows cards in the keypunch machine. Third picture shows stacking cards to put them in the machine that would verify them, the verifying machine is in the fourth picture. Only businesses and very rich people had computers. The computer and all of its’ components could take up any where from one room to whole buildings. There were raised floors, so that cooling equipment could be installed under them. The temperature had to be kept between 68 and 72 degrees Fahrenheit in the rooms where the massive computers were set up. 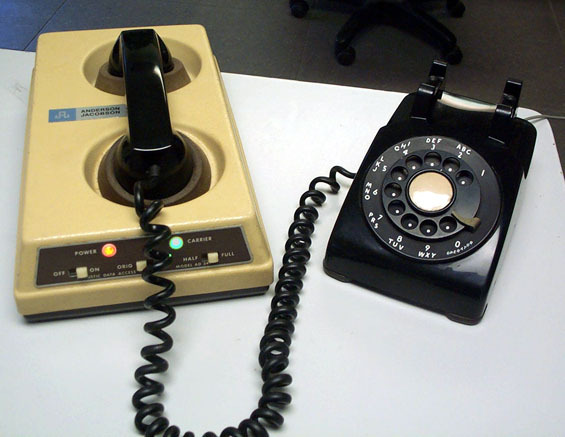 Businesses had to be connected to their main computers by modems with internal dial-up routers. 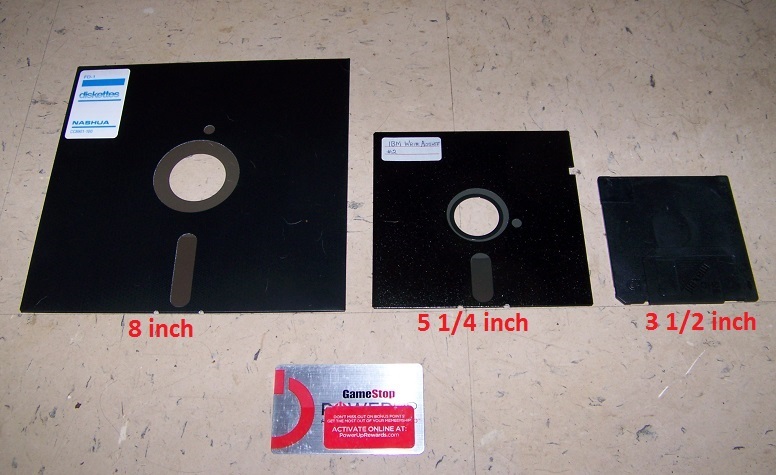 The businesses had actual floppy discs that were 8 inches square, or 5 and 1/4 inches square. The users had to be careful not to bend them, or the information that they contained would be corrupted. Then came the 3 and 1/2 inch square floppy discs that were actually hard plastic.All three sizes and types were called floppy discs though, because they had a very thin floppy disc inside, that contained whatever information that you entered into the computer. These floppy discs were the first type of storage, and later were replaced by hard drives. The hard drives were metal and had metal discs called platters inside of them. These platters spun around and as the data was entered into the computer, it was recorded on these platters. The first hard drives could only hold mega bytes and/or kilo bytes of data. It took a few years before the first Gigabyte storage capable hard drives were developed. My first Gigabyte hard drive was capable of storing 12 Gigabytes of data. When I had that installed into my computer, I thought it would last me for the rest of my life. I have since had hard drives capable of holding up to over 500 Gigabytes of data. After the hard drives came external hard drives that could be carried and hooked up to computers in other places via a USB cable. These too were not capable of high volumes of data at first. 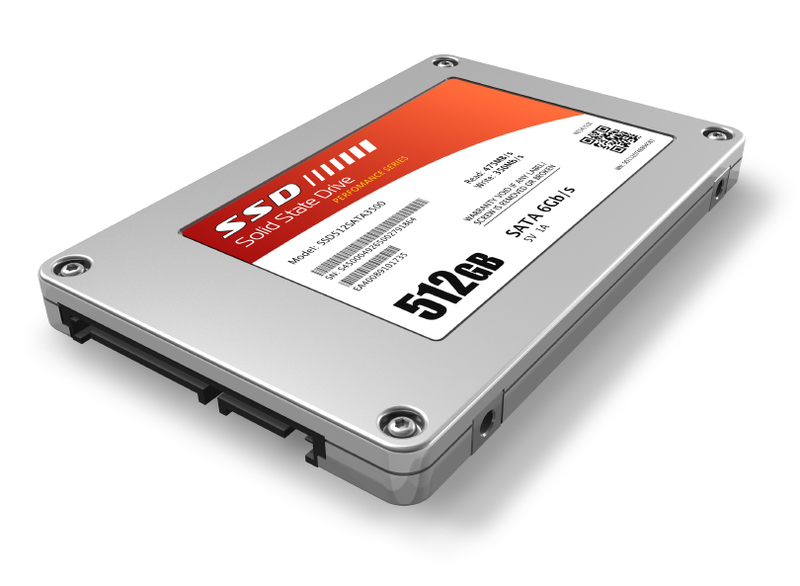 Now internal hard drives and external hard drives are capable of holding Terabytes of data, and are also available in Solid State Drive form. A Solid State Drive is one that has no internal parts that move. Below are three hard drives. The one on the left is an internal hard drive, the one in the middle is a laptop hard drive, and the one on the left is a solid state hard drive. 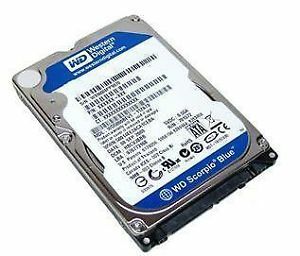 The solid state hard drive is the same size as the laptop hard drive is. 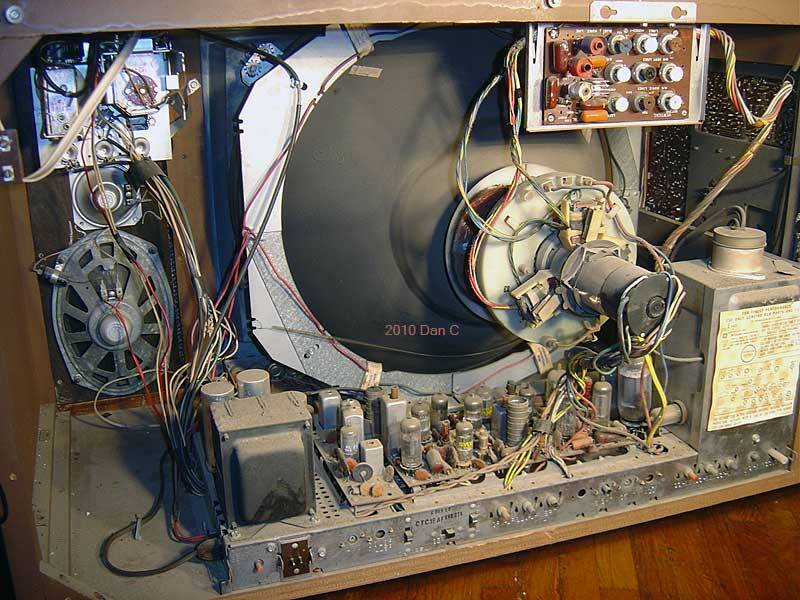 Since the solid state hard drive has no moving parts, it will last indefinitely. 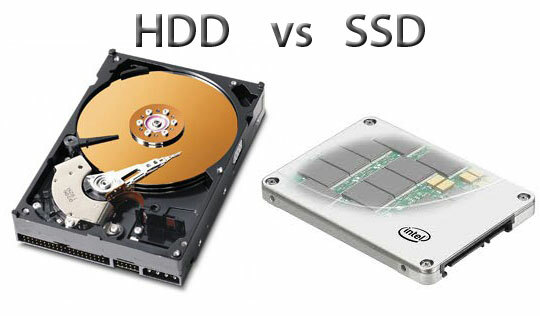 Below is a comparison of a regular hard drive and a solid state drive. .The actual computer was in a very large metal case with the workings inside of it. 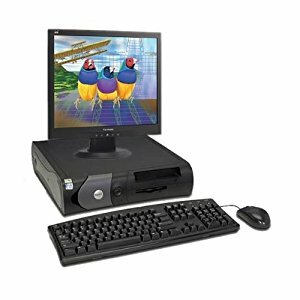 These were called desk top computers, and came in various sizes. With the desktop computer it was necessary to use a separate monitor, keyboard and mouse. 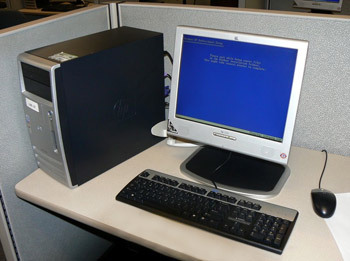 Some of the computers were able to be put flat and the monitor was placed on top of it, but most of them stood beside the monitor. See pictures below. 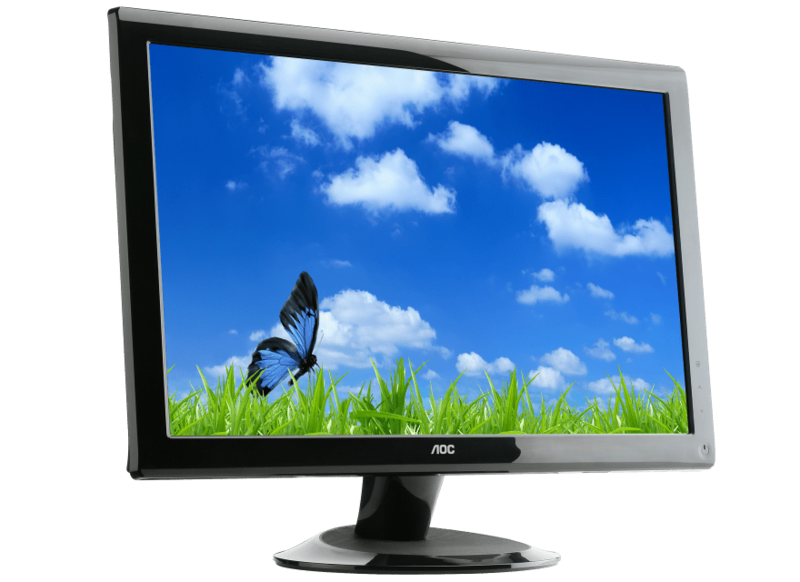 The monitors of the older computers used cathode ray tube (CRT) technology, and were separate from the computer. These first monitors were very bulky and heavy. They didn’t get moved very much. The CRT monitors were deep from front to back. The next type of screen to come on board was the liquid crystal display (LCD). 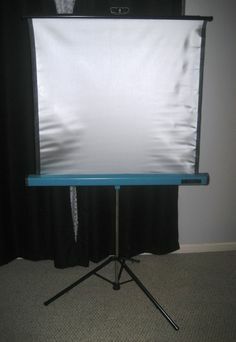 This type of screen had a sharper picture than the CRT, and was not as big and bulky. It was no where near as deep from front to back as the CRT, and was much easier to move from one area to another. 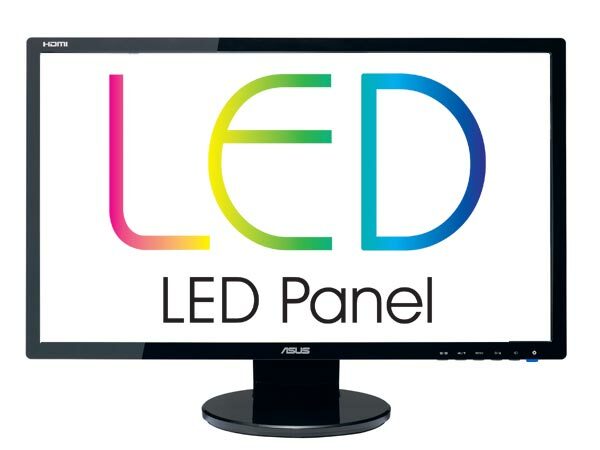 After the LCD type of screen came the light emitting diode (LED) type of screen. These had an even sharper screen. They were very skinny from front to back when compared to the CRT, and even a bit smaller from front to back than the LCD screens were. 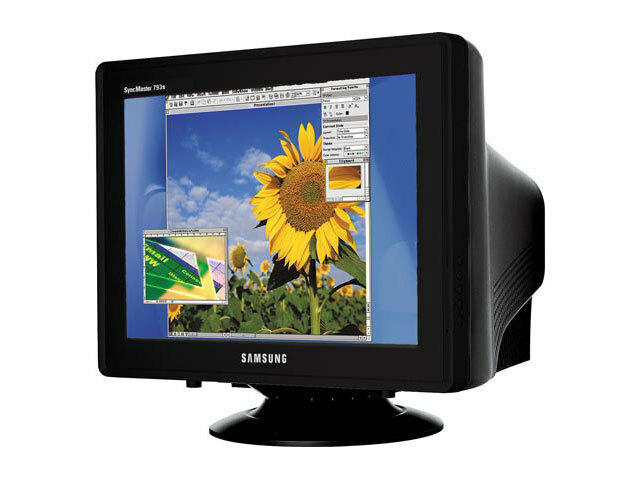 Both the LCD and the LED screens were available in many different dimensions when compared the the CRT screens. After the LED screen cam the plasma display screen, and was the most vibrant of all of the screens before it. 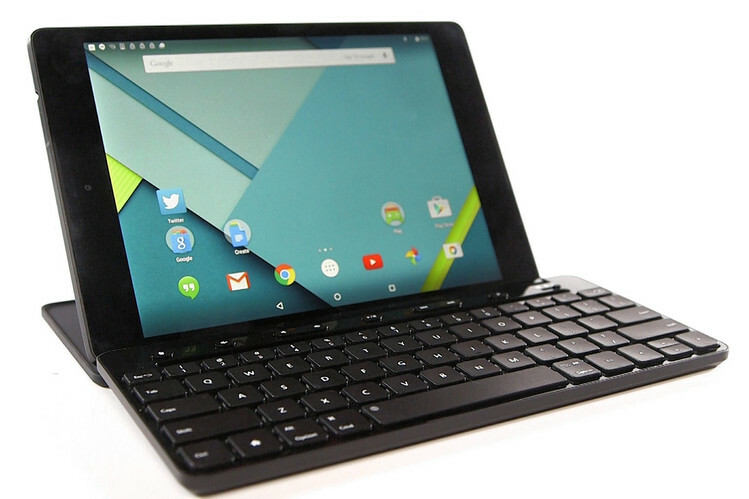 It was available in even bigger sizes, while still being very sleek. 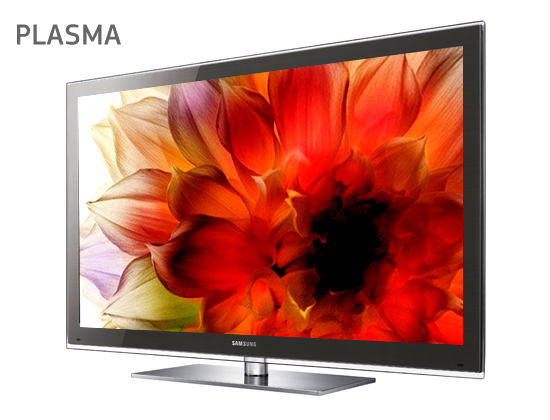 These screens even had High Definition (HD) capabilities. 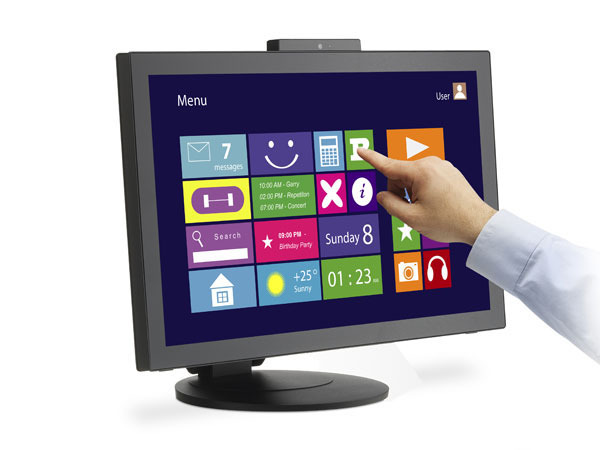 The most modern screens have touch screen technology built into them, as shown below. 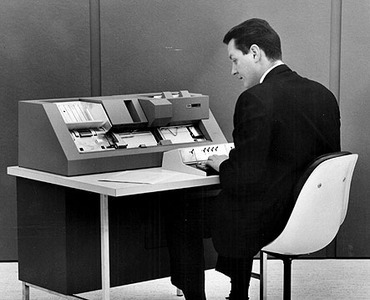 The computers continued to be improved and made smaller and easier to be carried around. 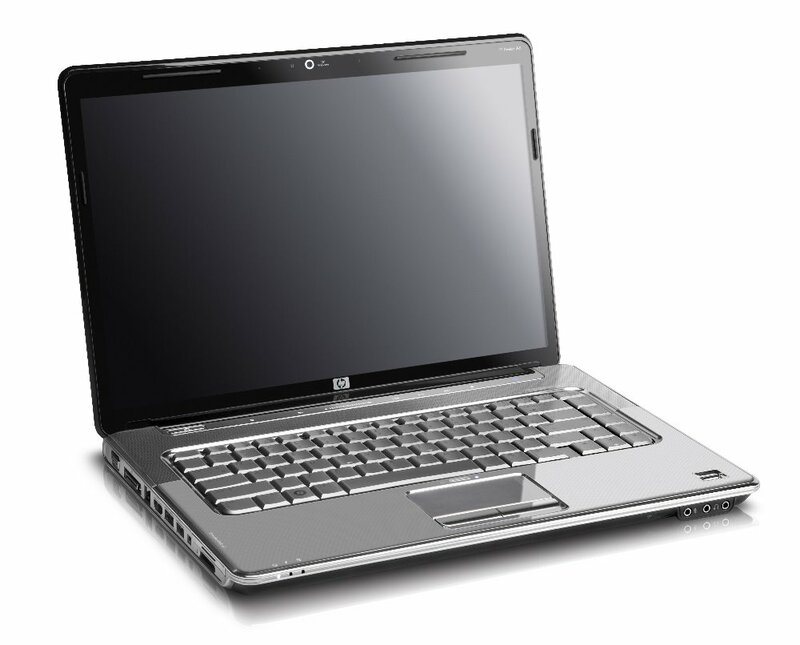 These came to be known as Laptop computers, and even smaller ones are called tablets. The tablets are more for watching movies ans playing games though, than for actually being used as computers. They usually didn’t have keyboards with them and therefore were not practical for business use. Now, however there are tablets that have magnetic keyboards that may be connected to them, so they may be used as regular laptops.A regular laptop is shown on the left, and a tablet with a magnetic keyboard is shown on the right. The first computer that I had was one that friends gave to me. It was a standup desktop with a CRT screen, keyboard and regular mouse. I later had a computer built to my specifications that also had a CRT, but it was a 17 inch screen. I had a keyboard and a regular mouse. Today my mouse is an optical mouse. Even though I have a laptop that has a mouse pad and a keyboard contained in it, I like using an external mouse and an external keyboard. I am a senior citizen, and it is just easier for me to use the external devices. The portability of a laptop is great. When I take the laptop anyplace, all I take is the external mouse, and use the keyboard that is made into the laptop. When I think of all the technological changes that have happened in my lifetime, I am all but overwhelmed. It is simply amazing to see how far technology has come. Children of today, and even many adults will never know what having vinyl records playing on a record player was like. 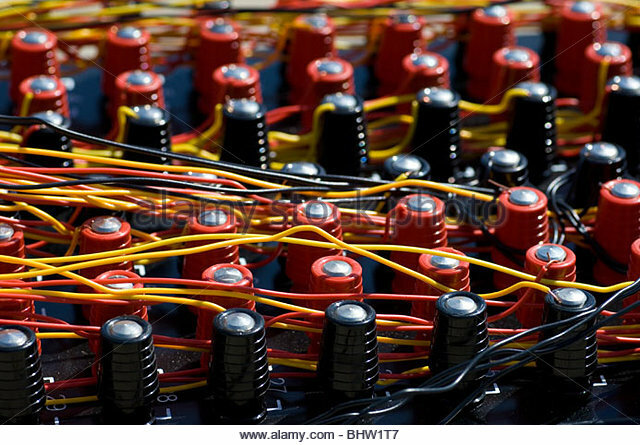 Nor will they know what a hardwired house phone ( more commonly called a land line) was like. 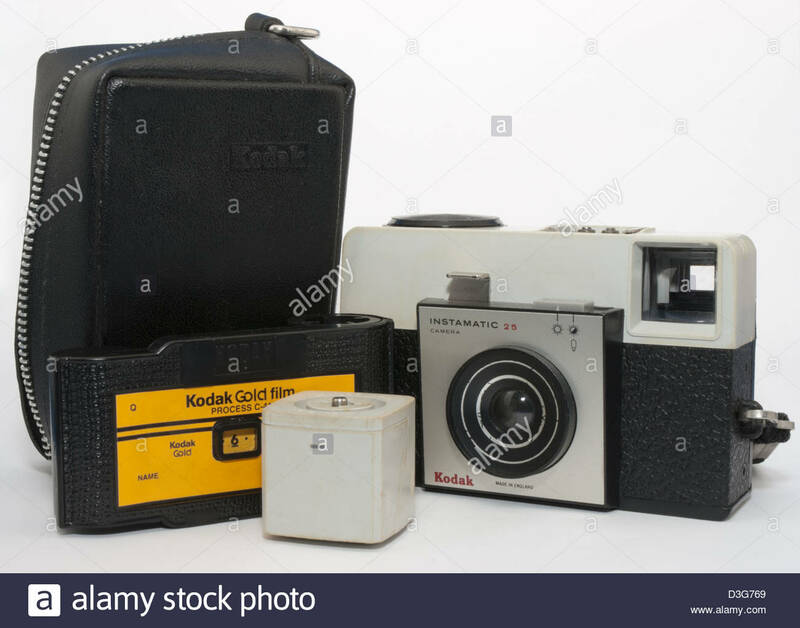 They will never have known black and white TV, VHS movies, cassette tapes and eight tracks, cameras with flash bulbs and film that had to be wound after each picture. 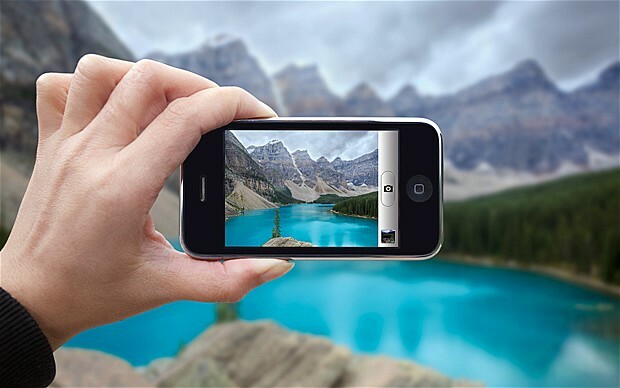 With being able to make videos on cell phones, they won’t know what home movies and home movie projectors are all about. By the same token they will not know what having negatives to pictures is all about since they can take and store pictures on their cell phones and upload them to the cloud. With mp3 players they don’t have to have walk men for the CD, and DVDs have evolved to Blue Ray and now even 4k, I think they are called. The x-box is going away to a degree, since most games can now be purchased and played on PCs and/or laptops. Even though some of the advances are hard to get used to at first, I wouldn’t change it for the world. Technology is wonderful, and change will never stop happening. When you stop wanting to learn new things, you stop living to a degree. I am very thankful for the changes that I have come to depend on each and every day. There is no way that I can single out how they have helped me and which one is better than another. But if I had to pick just one, I would have to pick the phone first. And if by chance I could pick two things, I would have to pick the laptop next. Sometimes I come across a post that is too important for me to change any of it. This is such a post. Please read it and make your own decision. I am saddened by what has happened in our great country of America, where everybody is promised a chance at an education if they so choose, or their parents choose for them if they are too young to make the choice. I copied the whole thing word for word. Someone posted this in a group, and I think it’s too important not to share. Of course, it’s anecdotal, and it’s just one opinion, but it’s just one great example of why many are upset and bewildered about today’s education news. The Senate Republicans and Vice President Pence have spoken today and I heard their message loud and clear; my child’s education is not important and my heart is broken. Meet my daughter Alice, who at 3 years old was accepted into a state funded special needs preschool on Fort Leonard Wood, Missouri. Her acceptance into this school has meant so many things to us; she learned how to be a peer, she learned how to cope with the stresses of school, and most importantly, she learned how to learn. In Betsy DeVos’ America, these programs are wasteful spending of our taxpayer dollars. In Betsy DeVos’ America, the IDEA Laws that now governor her IEP in the 1st Grade are useless because she does not believe children with special needs deserve or have a right to public education. My heart is broken for every child who is going to have to go without under Betsy DeVos. My heart is broken for every child who is going to lose their aid and support team under Betsy DeVos. My heart is broken for every child who’s education isn’t a priority to Betsy DeVos. My heart is broken for my daughter, because the Senate Republicans and VP Pence spoke today, and they have declared unequivocally that her right to an education is not as important as her sister’s. Education is not a partisan issue—it is an issue that effects every child of every color and every ethnicity and every political side. But Senate Republicans and VP Pence have decided that our kids don’t matter, MY Alice doesn’t matter. The fight has just begun, and I know that it is so hard, but please, please don’t forget these children. Don’t forget about Alice and those like her who can’t fight for themselves; they need us, ALL of us to get through these next 4 years. This picture was taken when Alice was 3 years old as she waited to go to class. Autism has many faces and hers is one of them. Tiffany Miles Firestone Well said! Kerri Beth I just keep praying…. Diane Spattifor Allen I certainly hope that children with disabilities continue to receive and have access to public education. We can’t return to the past!! Ashleigh Kastner I hate to sound super ignorant and uninformed, but all I can find are biased media reports that differ greatly from each side. Is there a link of actual facts that anyone knows of that I can read her plans on education? Jennie Hott Is this an actual fact? I find it hard to believe because this would be discrimination. Is there a link to back up this? Bonnie Jean Hern Oh my dear God please be with all of the special needs children that are going to be left out because of this uneducated woman that is now in the office of controlling our children’s education and she is not even qualified to do so. She herself does not have the education necessary to make these decisions. Please dear gracious God do not let our children suffer beyond which they cannot recover after this woman can no longer make decisions on what type of education they should have. I guess she wants our children to be as ill prepared for life as she is for the job that she has been entrusted. Only time will tell how much damage this woman is going to do to our children, who will be our leaders of tomorrow, because of her own lack of education. A friend sent me this post, and I have to share it here. It is many things at once. To begin with it is interesting, it is amusing, and I like to think that it is mostly true too. Read it and see what you think.